I met Lauren when she took the photos for my best friend’s wedding in Maryland. I knew instantly I wanted to work with her. From the very first time we spoke about my wedding, she was kind, informative, easy to communicate with, and super quick to respond to my emails. This continued throughout our time working together. My then fiancé and I (now husband!) decided to have Lauren photograph us in Charleston, South Carolina for our engagement photos and meet her down south! We had so much fun walking the streets of Charleston with Lauren and enjoying all of the beautiful scenery. She knew exactly where we could go for beautiful bright photos. She captured our relationship in the photos and made sure to get every last bit of light. It was so memorable for us! 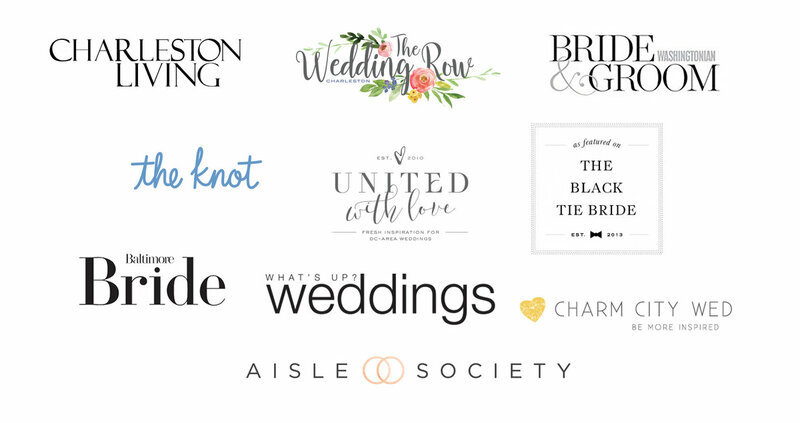 I was in contact with Lauren throughout wedding planning and she never hesitated to answer any questions I had. She also gave me wonderful suggestions for wedding shoes, robes and details for styling. Our wedding was in Frederick, Maryland. The day of the wedding I was so overjoyed that she was there to capture every moment of our special day. She worked tirelessly in the Maryland humidity to get every shot before the rain came in. She was prepared with clear umbrellas and brought those along the streets of downtown Frederick, just in case! She worked with my florist to photograph absolutely gorgeous detail shots and was able to highlight these details in each photo. She was able to photograph smiles and tears that I will keep in my memory forever. She was so quick with snapping shots and was incredibly organized throughout the wedding. Our wedding photos are beyond gorgeous. Honestly, they’re more beautiful than I could have imagined. It was truly our pleasure working with Lauren throughout our wedding. All of our love! "I had difficulty beginning this review because I have so many amazingly wonderful things to say about Lauren, I wasn’t sure where to start! My husband and I couldn't have asked for a better experience during our engagement shoot, and on our wedding day! 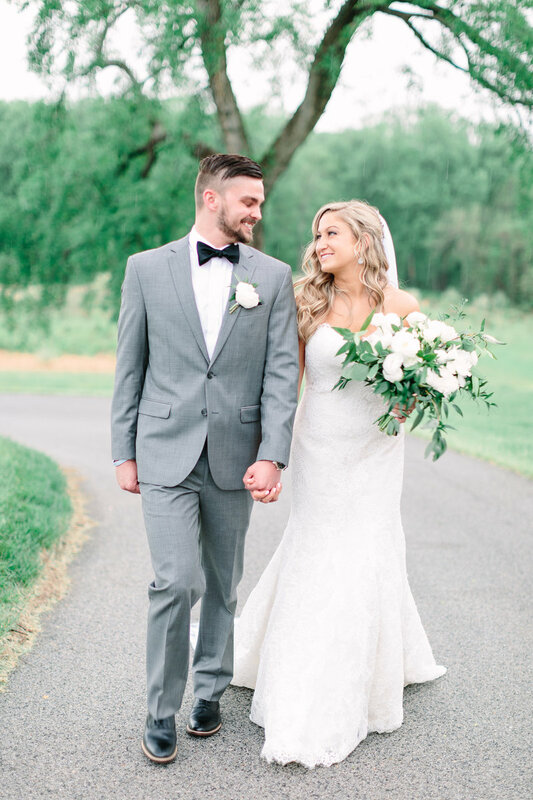 Being in front of the camera can be overwhelming and awkward, but Lauren made us feel comfortable every minute, and I'm confident that is why our photos turned out so incredible. We can look back on the day with a perfect mix of traditional portraits, genuine emotions, AND hilarious candids - if you're looking for both beautiful photos and an enjoyable experience, Lauren is your girl! Our wedding day, the most important day of our lives (thus far), would not have been so seamless without Lauren. Not only did she create and manage our timeline, she kept things running smoothly and enthusiastically. Without her, our day would not have gone as smoothy as it did, and that's putting it lightly. Lauren & her team are easy to work with. 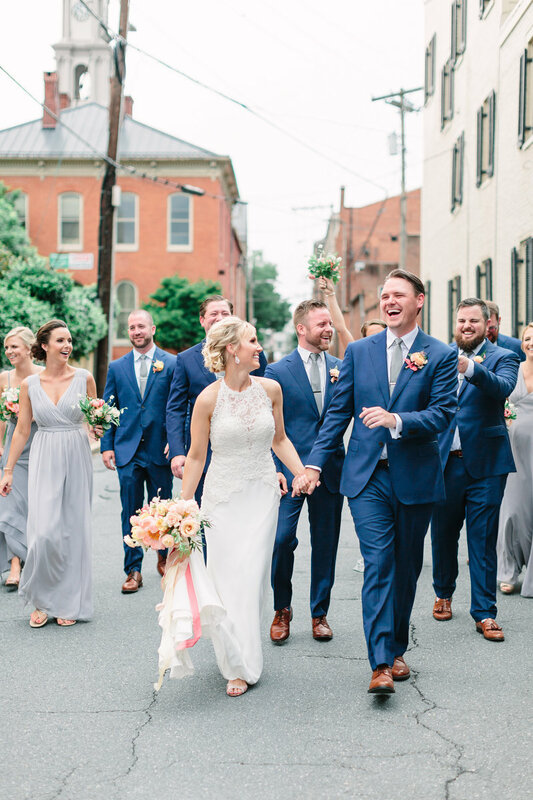 They make the wedding day fun and they kept an upbeat vibe throughout the entire day. I was lucky to only have one bride "freak out moment" & Lauren was there with a glass of champagne to ease my anxiety and a dose of positivity and reassurance I desperately needed. Lauren has the ability the capture both the emotions, vulnerability and the pure joy a wedding day brings. She has an eye for love, detail & beautiful moments. Lauren & her team are passionate about what they do and they go the extra mile to make each brides wedding day absolutely perfect. As Lauren's new sister in law, I can tell you, her and her team are passionate about their work. Even more so, they care about the brides they work with. If you're looking for a special, customized, thoughtful, next level photography group, you've find it with Lauren Myers Photography. "LMP is every girls dream photographer."